Loro Parque strongly rejects the accusations made by the NGO “PETA” in their statement as they are absolutely false, unfounded and an addition to the snare and malicious speculation with which this entity tries to injure the image and good name of our zoological institution with the sole purpose of providing visibility to their organization. For this reason, Loro Parque will take appropriate legal action against this entity that undermines Loro Parque’s reputation with lies as an argument and urges journalists and media to see first-hand the state of our orcas and our animals. It is totally false that Loro Parque’s orcas have serious health problems that they are scarred or suffering painful wounds and severe dental trauma as PETA means to imply. 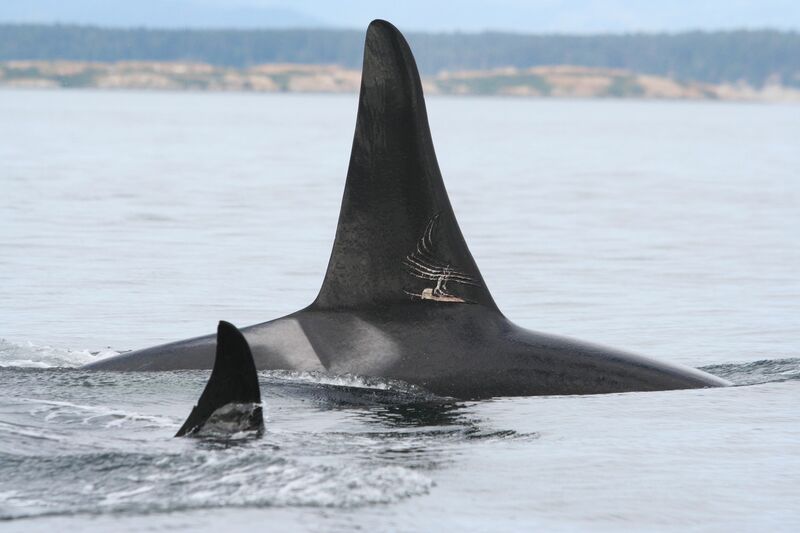 Rake marks mentioned by PETA are completely normal in orcas and other cetaceans; they are seen in the vast majority of wild animals and are the result of social conflicts. Therefore, the use of this argument clearly demonstrates a lack of scientific knowledge regarding the biology of this species of cetacean or is just simply another example of the bad faith of these entities. It is not difficult to find on the Internet photos of animals presenting skin wounds, some much more severe than the alleged ones that the animal rights activists claim to try to prove the lack of animal welfare in captivity: photo 1, photo2, photo 3, photo 4. The introduction of an animal in a social group with an established hierarchy always involves adjustments and conflicts, just like what usually happens when a foreign dog is introduced in a group of 3 domestic ones. For Morgan, the process of introduction was carried out in a planned and controlled way by experts minimizing conflicts which were resolved quickly, in fact, the complete introduction of Morgan in the group was successful. It is absolutely absurd to say that orca’s dental problems are unique to animals kept in captivity. The teeth of these animals are much weaker and tend to wear away faster than other terrestrial carnivores. In fact, it is common to find stranded wild specimens (many of them in museums) with dental wear that reach the gum, which shows that it is not an anomalous situation, there is no research on the prevalence of this condition. On the other hand, veterinary equipment at zoos that keep orcas have a dental plan to avoid problems related to this wear. It is equally untrue that the orcas are scared and apathetic or manifest signs of psychological disorders. In fact, the different behavioural studies that have been conducted by experts from the University of La Laguna prove that statements about continued aggressions to which PETA refers to, are completely false and based on partial and biased observations made with dubious scientific rigour by Dr. Ingrid Visser when she was one week at Loro Parque watching the animals at certain times of day. PETA’s accusation is based on the results of Mrs. Visser’s report which was widely disputed by experts in the field to be irrelevant. Another example of the lack of scientific judgement is the recent public presentation on Morgan, in which Mrs. Visser showed the audience the same photographs taken in 2012 and 2013, and repeated the same accusations based on a report presented in one of the Morgan trials. Loro Parque responded point by point to each of the unfounded allegations she made in that report, to which Dr. Visser never ever replied. The Dutch court agreed repeteadly with the Dutch government despite the smear campaign of the Free Morgan Foundation and Ingrid Visser’s reports. Dr. Visser has not returned to Loro Parque and has not provided any information to support her accusations since the trial in the Dutch Supreme Court in late 2013. However, during hundreds of hours of observation carried out by researchers from the University of La Laguna, it was observed that both the orca Morgan like the rest of animals spend time together and have normal and healthy social ties between them. It is not true that the orca Morgan was captured from the wild. Reality is that she was rescued in the Netherlands in 2010 by the government. It is also false that she is a suitable candidate for liberation; therefore the collection of donations made by some animal rights organizations for her release is simply fraudulent. Loro Parque keeps Morgan in its facilities at the request of the Dutch government and assumes all the costs due to the love towards the animal and without any economic support from any administration. However, it has to endure constant harassment and criticism from animal rights groups in successive campaigns but don’t provide any proof of the lack of welfare of orcas. Despite all this, our commitment to animal welfare is firm and we care for Morgan, as we do for other animals seized or rescued that the authorities place in our facilities but don’t arouse attention from the media or animal groups. PETA intentionally conceals the existence of several unanimous scientific reports in which experts cautioned against releasing Morgan and ruled that her chances of survival without her family group were minimal or nonexistent. Also intentionally concealed is the fact that Morgan has severe hearing problems, accredited by scientific experts, (recommended by the Free Morgan Foundation itself as the most suitable to carry it out) concluding that she could be completely deaf. For a species whose feeding and socialization depends essentially on the hearing, it is irresponsible to suggest that an animal who is unable to eat or communicate properly should be released. The transfer of Morgan to Loro Parque, like all zoological operations of our institution, was conducted in compliance with all laws and regulations of the Convention of Trade in Endangered Species of Wild Fauna and Flora (CITES Spanish Authority), European legislation (Directive 338/97), the Spanish law regarding Zoos (Law 31/2003) and verified by the competent autonomous community bodies in this area. The decision of the mentioned transfer was ratified on 5 occasions by the Dutch Administration and Justice (advised by several independent committees of experts). As the European system establishes, animal welfare must prevail. Therefore, all institutions, agencies and experts that have intervened in the case of the orca Morgan, have chosen the alternative that ensured the greatest wellbeing for Morgan which was to introduce her in a group of the same species under human care. None of the alternative plans of reintroduction guaranteed her reintegration in a wild group or even her survival. More information about the Morgan case. It is false that orcas live fewer years when they are under human care. Research, published recently by Journal of Mammalogy, statistically analyzed the survival of killer whales at SeaWorld during the last thirty years and it is scientifically proves that the survival of whales under the care of SeaWorld (includes the individuals at Loro Parque) is similar to killer whales in the wild. (Robeck, TR, Willis, K., Scarpuzzi, MR, & O’Brien, JK 2015. 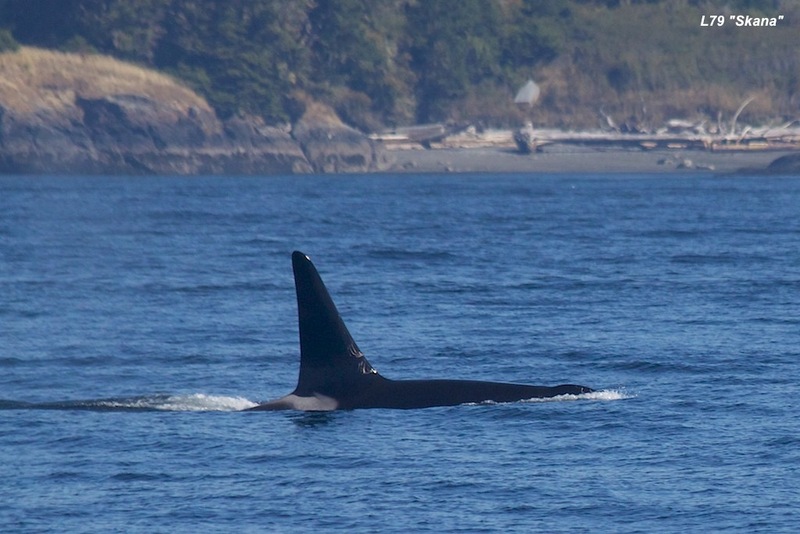 Comparisons of life-history parameters between free-ranging and captive killer whale (Orcinus orca) populations for application toward species management. Journal of Mammalogy, gyv113.) Full article. In 2005, before transporting the orcas from SeaWorld to Loro Parque, the Animal and Plant Health Inspection Service (APHIS) verified in detail the facilities and procedures for handling orcas at Loro Parque issuing a positive report of comparability which proves that Loro Parque ensured wellbeing equivalent to any facility in the United State. This is a prerequisite for any export of cetaceans from the US. PETA should also know that no department of the US Administration has jurisdiction over the animal welfare of a third country. Therefore, the alleged complaint is clearly a propaganda campaign. This is another chapter in a successive discredit campaign in which Loro Parque has been a subject during recent months and has sued to justice. In fact, another entity like PETA, which only seeks to damage the prestige of Loro Parque, the WCA (linked to Born Free Foundation and Free Morgan Foundation) has had to cancel their campaign with arguments identical to those of PETA and remove the name of Loro Parque, retracting the falsehoods used to deceive the public and get followers to join their cause. Throughout its history, Loro Parque has worked hard to save some of the most endangered species in the world and thanks to this effort it has been possible to downlist two critically endangered species in particular: the yellow-eared parrot of Colombia and Lear’s Macaw in Brazil, going from critically endangered to endangered in the IUCN red list. Meanwhile, what have these organizations that claim to care about the welfare of animals done? Instead of fighting the real problems that threaten the survival of many species, they make a huge effort to discredit zoos that house dolphins or whales with lies while we put all our efforts into our animals having the best possible conditions under our care. Therefore, we would like to know: what has PETA done and how much has been invested to protect wild populations of cetaceans? Due to these types of harassment campaigns against the zoological community by various animal organizations, some US audit organizations are investigating possible irregularities committed by these entities. For all the aforementioned allegations and faced with the serious attack that this smear campaign has on the good name of our zoological institution, legal actions as deemed appropriate will be initiated against those individuals and entities that based on false and manipulated information, injure our image and reputation. Finally, faced with the concern and many expressions of love for animals that the Morgan case has generated, Loro Parque fervently wishes that this drive is directed to work for the conservation of those species of animals that are endangered and truly need everyone’s sincere commitment. Loro Parque is always exquisitely respectful in compliance with the current regulations of zoos in relation to animal care and security protocols. Loro Parque is the world’s first zoological park awarded in 2008 with the international environment certification “Biosphere Park – Animal Embassy”, a seal of quality developed by the Institute of Responsible Tourism (ITR), linked to UNESCO, whose aim is the application of sustainable practices in parks and zoos. In this sense, it is the first zoo to obtain this international recognition, together with its compliance of ISO 14001, ISO 9000 and EMAS requirements. Loro Parque has also received the “Merit for Tourism” and the “Gold Medal for Tourism” from the Ministry of Business and Tourism of Spain and the local and Regional Government, the Gold Medal from Puerto de la Cruz and the “Gold Medal” from the Cabildo de Tenerife. It is also the only company in the Canary Islands with the distinction of receiving the “Prince Felipe Award for Business Excellence”. Loro Parque has also been awarded by TripAdvisor for being the No1 Zoo in Europe and No2 in the world among other international awards. Environmental Education: Each year 700 million people visit zoos around the world (about 10% of the human population), which have evolved to become effective tools for nature conservation. In this sense, laws regarding zoos aim to promote the most positive activities to raise its beneficial effect on biodiversity conservation activities through environmental education, conservation and research. The animal presentations are part of the tools of awareness and education of Loro Parque and in the more than 2,000 educational impact surveys carried out at randomly each year, visitors to Loro Parque show a predilection for animals that are presented in an active way and most people recognize being surprised by the intelligence shown by these animals and the variety of behaviours that can be carried out by them. Loro Parque Fundación is an international non-profit institution, conceived in order to appeal to society to preserve nature and the environment. It was founded in 1994 with the mission to preserve the parrots and their habitats. The foundation has brought together a large number of parrots that is kept as a genetic guarantee for the future, in addition to carrying out numerous educational activities. As a first contribution to the Foundation, Loro Parque donated its famous parrot reserve that has an invaluable cost and also covers all costs and expenses of its management and operation reaching every year about 1,500,000 dollars, so Loro Parque Foundation doesn’t have any costs and therefore can guarantee that 100% of the income received from sponsors and donors is fully destined to projects to conserve species and their habitats. In this sense, Loro Parque Fundación invests a total of 2,500,000 dollars annually in favour of nature. Currently Loro Parque Fundación promotes 36 active conservation projects along with educational programs that combine the use of new technologies with educational activities in schools. The awareness and species protection objectives are achieved through educational and research projects, as well as responsible breeding programs and conservation activities. All these initiatives are supported by various public and private entities, engaged in the work of Loro Parque Fundación, contributing each year to optimize projects, having surpassed the US $ 15 million investment over 96 conservation projects in the five continents. You are right – some wild Orcas HAVE dental health problems, occured due to their food. Honestly, these Orcas are called “Offshores” and they are the only known Orcas who hunt sharks. All other known Orca Communities (also Icelandics and Norwegian Orcas like you have in your park) eat fish or other marine mammals who have compared to sharks a very smooth skin. Sharks have a very rough skin, causing teeth of Orcas to worn down to the gum. So you see, there is a clear difference between Orcas hunting sharks and having teeth problem due to that, or having captive Orcas eating fish and biting on tank walls or steel gates and ruin their teeth because of that. If you take the time to read the scientific information we published to support our arguments in the case of the dental problems you will know that not only shark feeding killer whales have dental problems. In fact you will be able to see a picture (from the Scottish Marine Animal Stranding Scheme) of a North Atlantic killer whale that feeds on mackerel (that means as the Icelandics and Norwegian Orcas that you mention feed on fish with very smooth skin). This picture shows the asymmetric erosion produced in the teeth by mackerel when are suctioned by the orcas, and is a real probe that killer whale teeth are easily eroded, even by soft skin fishes.